waste disposal units have a 0.50 motor with an air switch included. waste disposal units have a 0.55 HP motor with an air switch included. 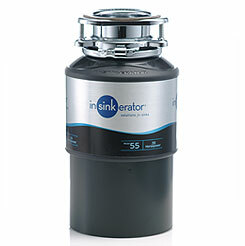 The Insinkerator 65 is the top model in the standard range and is suitable for a 3-4 person household. These waste disposal units have a 0.65 HP motor with an air switch included. This waste disposal unit boasts a 0.50 horsepower motor and a massive grinding speed of 5500 rpm, this waste disposer will grind any food waste to liquid in seconds. As standard is fitted with a fully insulated sound shell and air switch. food waste disposer will dispose of any food waste in seconds. A fully insulated sound shell and built in air switch comes as standard. units are fitted with a 1.0 horsepower motor and a grinding speed of 5900rpm. Needless to say any food waste will be liquified in seconds. technology. This model includes a fully insulated sound shell and an air switch as standard. 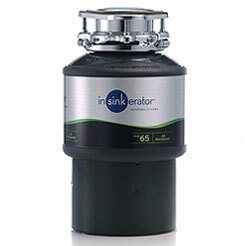 The new Insinkerator multi stage grinding system will dispose of all food waste. 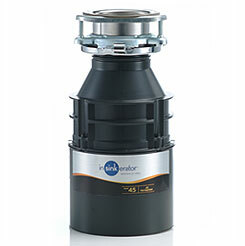 The new Insinkerator multi stage grinding system like the 100 model will dispose of any food waste.